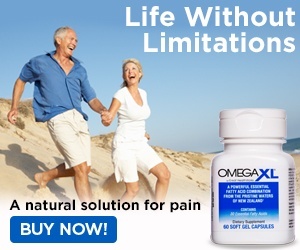 Next review Omega Xl - Omegal XL has tremendously improved my labs!!! Jun 26, 2015 We appreciate receiving your feedback. Omega XL is a marine oil sourced from the pristine waters of New Zealand, among the purest in the world. We rarely have customers complain that our product smells like fish oil and regret your customer experience. We have thousands of satisfied customers and request that you contact our Customer Advocacy Department at 1-800-607-0419 ext. 3188 to address your concerns. Thank you again for your feedback and we look forward to hearing from you. I've been taking the Omega XL for several months now. The third bottle I ordered wasn't coated and the smell of fish was nasty. I called and they did send me another bottle. These were coated but it still had an odor of fish. I ordered the 300 capsule bottle and have been taking four a day. It really hasn't helped my arthritis at all. My cholesterol is lower but my triglycerides are still really high. I won't be ordering any more because it is quite costly. I am going back to Icelandic omega 3 that is sold in health food stores and some drug stores. I is a good product and you never have the after taste of fish. Review #547988 is a subjective opinion of User547988.